Derrida's writings on the question of religion have played a crucial role in the transformation of scholarly debate across the globe. 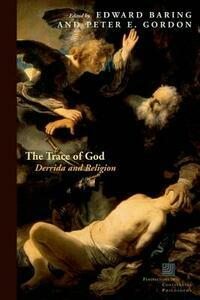 The Trace of God provides a compact introduction to this debate. It considers Derrida's fraught relationship to Judaism and his Jewish identity, broaches the question of Derrida's relation to the Western Christian tradition, and examines both the points of contact and the silences in Derrida's treatment of Islam.